Learn all you ever wanted to know about Captain America, Thor, Iron Man, Ant-Man, Hawkeye, Black Widow, Scarlet Witch, and all the Super Heroes on the Avengers roster. 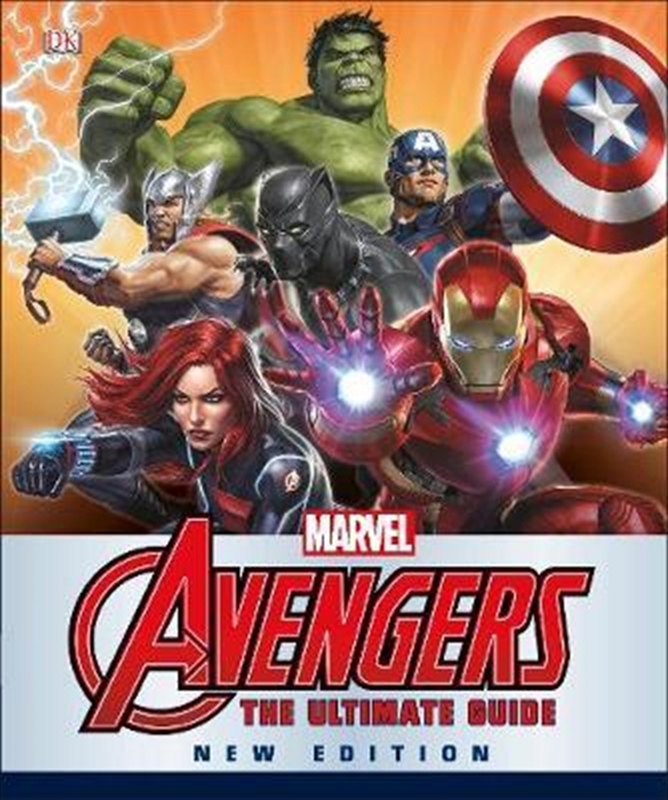 Marvel Avengers Ultimate Guide Updated Edition details all the key storylines and events that fans need to know, such as Avengers Vs. X-Men, Infinity, Secret Wars and Civil War II, the formation of the Avengers Unity Division and the creation of an All-New, All Different Avengers team. This jam-packed new edition fully updates the Avengers' timeline and existing character histories, and features profiles of new Avengers characters including: Shang-Chi, Sunspot, Cannonball, Smasher, Manifold, Captain Universe, Hyperion, Ex Nihilo and Abyss, Starbrand, Nightmask, Captain America (Sam Wilson), Thor (Jane Foster), Spider-Man (Miles Morales), Ms. Marvel (Kamala Khan), Nova (Sam Alexander), and Wasp (Nadia Pym). Marvel Avengers Ultimate Guide Updated Edition also features artwork from the latest storylines. Get all the facts about the Avengers' powers, weapons, enemies, and adventures, and meet characters from every decade of the Avengers' epic 50-year comic book history.